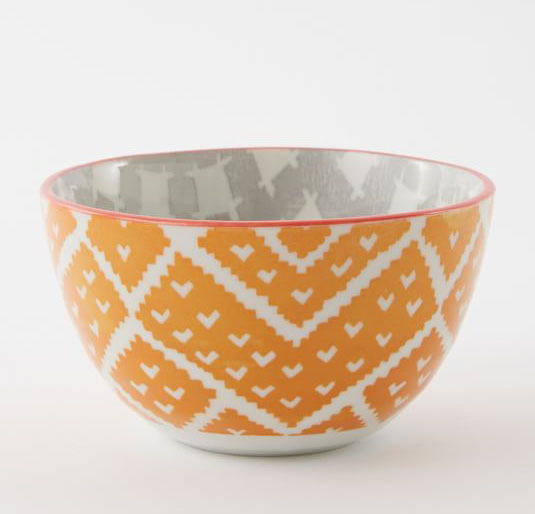 A variety of vibrant patterns, influenced by traditional textiles, give these Orange Folk Pad Printed Bowls just enough edge to make breakfast a little more interesting. $8 Sale $6. Buy here.